OK, so this is the place where more photographs are taken than anywhere else on earth. So you have to be an extra good photographer to come away with stuff that's better than most, stuff that stands out. I try very hard to accomplish that. Maybe I succeeded. There is a tremendous amount of competition, you have to be brave and go out there and do it. 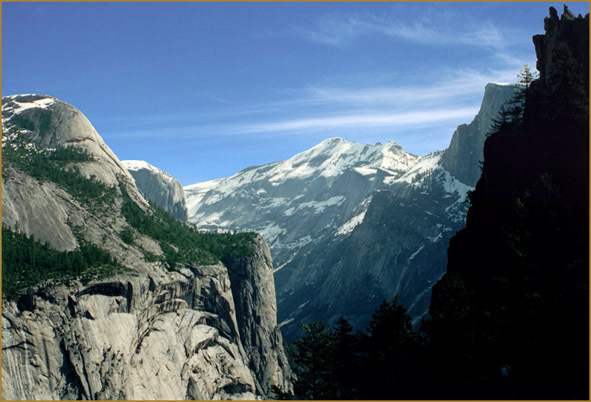 These features are North Dome, Basket Dome, Royal Arches, Washington Column, Clouds Rest Peak and Half Dome.